An assignment of copyright (sometimes referred to as a sales agreement for copyright, the sale of copyright, or a bill of sale for copyright) is an agreement whereby the owner of the copyright of the work transfers his ownership to another. Generally speaking, the buyer (assignee) can do with the work as he pleases: destroy it, license others to use it, make money from it in any way and on-sell the rights to another party. To be valid, an assignment of copyright (see our free legal form lower down on this page) must be in writing, signed by or on behalf of the assignor (i.e. owner). It must be clear about the subject of the assignment; i.e. what copyright in which work is being assigned. Remember that one work may have many copyrights. For example, a movie will (or may) have literary, music, cinematography, photographic, broadcast, choreographic (etc.) rights. Whilst an out and out assignment will cover all such rights, it is possible to separate out what is to be assigned. The same applies for different countries. N.B. - Please refer to our main Copyright page for more information on copyright law, infringement and more related free legal forms. As the owner of copyright in a work considering assignment you should assess whether licensing your copyright is not a better option. In this case you retain ownership, and only license certain rights to another party. 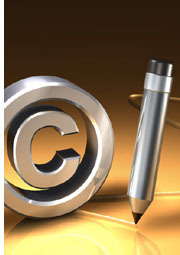 You will be well advised to consult with your copyright attorney on your best course of action. Note: It is important for employers to either include an assignment of copyright clause in their employment contracts or independent contractor agreement, or to have a separate agreement signed by employees or freelancers. 1. The Owner warrants that he/she is the sole creator and/or owner of all copyrights in the Work, and that he/she has full power to enter into this Agreement and that this Agreement does not infringe the rights of any third party. 3. The Owner agrees that the Assignee shall from here on own the said copyrights in the Work, to benefit and dispose of these rights in any way and at his/her sole discretion. 4. The Parties agree that this Agreement shall be binding upon the legal successors and assigns. 5. The Owner agrees to sign all necessary papers to procure registration of, or as further necessary to effect the assignment under this Agreement, as and where necessary. 6. In consideration of this Assignment of Copyright the Owner acknowledges receipt of due and sufficient consideration. on this __________ day of __________________________20_______.